Congratulations! Parkhurst is now the most connected suburb in South Africa and all homes & businesses is now connected to Vuma’s 1Gbps network. If your haven’t ordered your installation yet, get hold of us, high speed internet is a life changing experience! Parkhurst is the first open suburb in South Africa to secure the installation of a fibre network that will deliver very fast internet to every home in the area. PRABOA, the Residents’ Association, has appointed Vumatel as the network provider following a thorough bidding and selection process by members of the community. This network will also form the technical basis for the CCTV and number plate recognition cameras that will soon be coming to Parkhurst. Fast, reliable and affordable internet access gives us the opportunity to greatly improve our quality of life as far as communications are concerned. Besides the already well established uses of the Internet such as email, information and social networking, things like video and TV streaming on demand, video communication (TV quality and speed Skype calls for example) and fully connected remote working become truly possible. In the case of Parkhurst, lines offering speeds of 4Mbps start for as little as R199 per month (plus a R1,500 once off installation fee and R999 ISP connection fee). Line speeds of up to 1000Mbps (just about the fastest speed available globally) are on offer to the people of Parkhurst. Even the next “slowest” line speed of 50Mbps is more than 10 times faster than what you should be able to get via a Telkom ADSL line. In Parkhurst, however, you are lucky to get 1Mbps via Telkom ADSL. What is more, as the Vumatel network is open access you are able to select the Internet Service Provider (ISP) of your choice. You will never look back! Globally homes that are connected to fibre networks (FTTH) attract higher prices than homes without an FTTH connection – the same will undoubtedly be true in South Africa too. Already local ISPs are working with Vumatel to ensure their ability to bring the future to Parkhurst today. The possibilities are endless – better security through CCTV is likely to lead to lower insurance premiums. Parkhurst will attract many professionals wanting to work from home and this will drive economic growth in the area as local businesses are supported. You will be able to cancel your Telkom voice line and replace it with an Internet based phone system that will allow you to make free calls within the area. Remote health monitoring and care programmes are now possible for Parkhurst residents. You will be able to monitor electricity usage (and possibly other utilities) more intelligently. The computing power of your home could be based in the cloud, meaning you’ll be one step closer to carbon neutrality – fibre uses about 20% less electricity than a comparable VDSL2 network. 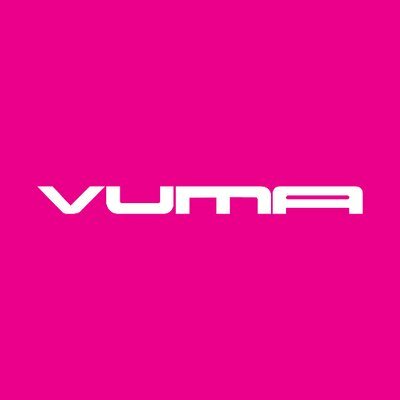 We urge you to sign up with Vumatel here.